Our philosophy is rooted in the belief that our business success come from helping our clients’ business succeed. This is why we oversee the entirety of the IT service or IT project that we are providing. 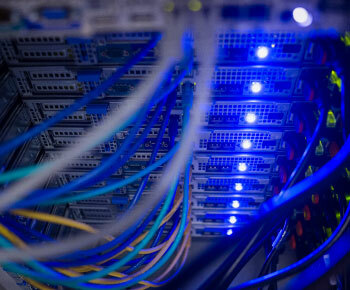 Although cabling and installations are not necessary a fundamental IT service, and one which is often supplied by separate professionals such as electricians, it is, nonetheless, something we offer our clients. This aspect comprises a part of the overall IT solutions, and therefore we aim to ensure that it is something which is completed properly, in order to minimise any possible error or issues for our clients to have to manage. At Sydney IT Solutions, we surround ourselves with fellow collaborators and contractors who are as committed to carrying out their job in a professional, competent and holistic manner as we are. We work with those who share our work ethic and are, too, cognizant of the fact that in order for them, and us, to succeed, the client’s business needs must be prioritised. At Sydney IT Solutions we provide all services pertaining to cabling; provision and installation of cables, server racks, data, fibre, and any other electrical cabling needs. We are always on the side of our clients and provide electrical, data and network cabling solutions. We partner with trusted collaborators and contractors to provide quality installations with a particular attention to detail in order to ensure a smooth and seamless experience to our clients. We ensure the latest cabling standards are maintained and provide only the most genuine, honest and competent solutions. Sydney IT Solutions are all about keeping our clients interest a priority.